English summer camps designed for young learners! Our summer camps offer English language training alongside engaging activity and excursion programmes. The summer camps are aimed towards young learners aged 9 to 18 who are eager to learn, have fun and experience the UK's culture and history in safe, supervised environments. Students from around the world are able to improve their skills in any of our various locations including popular UK cities and towns. We welcome students of all skill levels. Activity programmes are featured to help keep students active and entertained outside of their lessons with fun daytime and evening activities, cultural excursions, visits to popular tourist attractions, sports and leisure activities. Programmes are adjusted to suit each English summer school so students can get the most out of the UK location they are visiting. All our summer camps aim to offer a high standard of teaching by featuring qualified teachers and trained activity leaders. The welfare and supervision of students within our care is of paramount importance to us at all times. 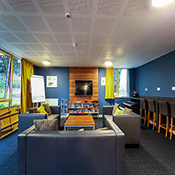 The accommodation we provide is either homestay or residential depending on the summer school. We work with existing agents and new agents to provide fully inclusive educational and tour programmes to meet their students' needs. Please click here to find out about the benefits of becoming an agent or partner with Twin. We look forward to welcoming your students at one of our centres soon! 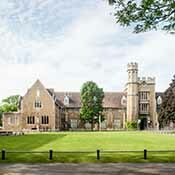 With various locations and accommodation options available, Twin summer centres offer something for everyone. All our high quality centres provide a variety of facilities and fun-filled programmes that are guaranteed to educate and excite all of your students. A modern, communicative English language learning experience with specifically designed materials and exciting programme. Our Activity Programme is designed to provide students with an opportunity to practise their English and have fun throughout their stay in the UK.